“Netflix US & Canada” with a huge subscription base of 1,185,525+, they reached the top in the trending list for the second time in this month. Netflix is the World’s leading Internet Television network with over 83 million members in over 190 countries enjoying more than 125 million hours of TV shows and movies per day, including original series, documentaries and feature films. 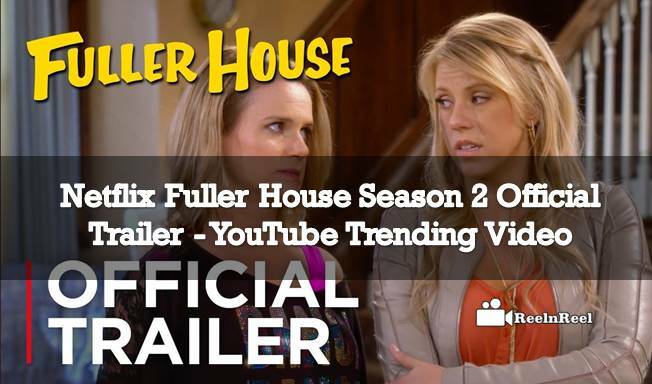 This time they have come up with Fuller House Season 2 Trailer and got around 545,985+ views. Just within 14 hours. The first season of the Fuller House was a hit and the second season is starting from 9th of December and it can be watched only on Netflix. Christmas Season is coming soon. This trailer has Christmas decorations in it. Original Series starring Candace Cameron Bure, Jodie Sweetin, and Andrea Barber are the main attraction in this trailer. This video has a wonderful Facebook Engagement with the total of 49.9K+ Facebook Engagements.